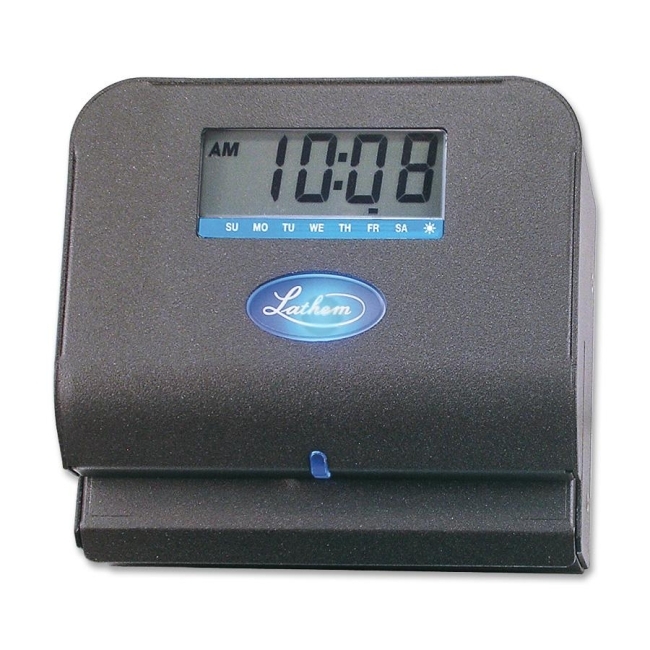 The Model 800P Time Clock provides library-quiet printing of employees' in and out times, along with the day-of-week for each transaction. While the default print settings are suitable for most workplaces, administrators can set preferences for printing 12-hr time with AM/PM indicator, or 24-hr (military) time; Minutes can be printed in hundredths of an hour to simplify tallies; Day-of-week can be printed in English, Spanish or French. The 800P can automatically adjust for Daylight Savings Time, and maintains its date, time and user preferences during power failures.